Jakub Górnicki, 25, is responsible for Press Relations at Sourcefabric, o.p.s.in Prague, Czech Republic. Originally from Poznan, Poland thrown to Warsaw and set up a base there. He combines journalistic, new media, PR and development experience all around web industry. Started as a journalist covering sports and youth issues in Poland for a Poznan newspaper before moving on to online activities in 2005 (he assisted in developing the refugee.pl website for a Polish Humanitarian Organization). 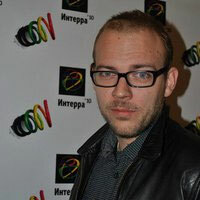 Later on he worked for mixxt.com as a corporate developer where he was primarily responsible for the Polish market as well as developing the platform on Central Eastern Europe. He moved to Head Online Relations for Beamups.com in early 2010 and in the same time assisted leading Polish dating portal to internationalize on UK and Spanish market. He blogs about new media, how it affects media and travelling.